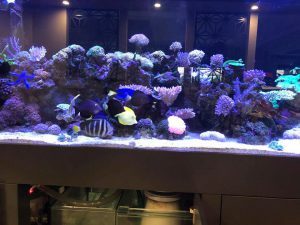 Keeping your fish tank looking fantastic can some times be a challenge, it requires hours of attention. Tranquil Marine Services can take the time and hassle out if it for you allowing you to enjoy your Aquarium. We are specialist in marine fish tanks from small nano tanks to large fully automated custom aquarium installations. We can also look after your tropical fresh water tank, indoor or outdoor pond. 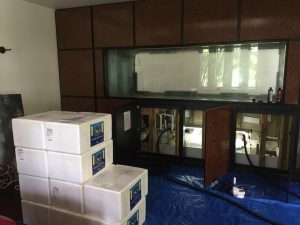 Water quality is the most important part of keeping a healthy aquarium. We will monitor your water quality and fish health and show you how to maintain this. Setting up a regular service schedule with you ti give you peace of mind knowing that we are only a call away. If you would like to book a service or talk with us further about our maintenance service Call Stirling on 0450 224 708 or fill out the form below.